Marketing 101 teaches that promotion is one of the “four P’s” that lead businesses to growth and success. Seth Godin re-defined promotion as “one-to-one marketing” more than a decade ago. Social media today spreads your message from one person to another with your company benefiting because the message delivered to each person comes from a trusted friend rather than your company. It is an ideal form of promotion. Whether you’re deeply involved or just getting started, we can help you develop a social media marketing strategy, as well as the day-to-day steps needed to bring you new visitors and increased sales. An almost overwhelming choice of media give you channels for reaching out to your prospects and customers. Blogs. Delicious, Digg and Reddit. Facebook. Foursquare. Google+. Instagram. LinkedIn. Pinterest. Twitter. Yelp. YouTube. When you launch a social media campaign you’ll save money, save time and connect directly with prospects and customers more directly and personally than ever before. 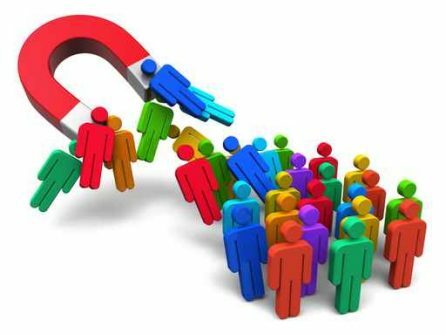 You’ll find you can target your market in ways that other promotional efforts cannot. The goal of social media marketing is to bring visitors to your website who will buy your products and services, or in the case of not-for-profit organizations, people who will support your cause. From the many channels available you might decide to begin with any of these. Begin by creating a company Facebook page with careful consideration to layout, and giving special attention to encouraging two-way conversation with your audience. You might want to include links to your blog, videos and industry-related articles that inform and educate. The more value you deliver, the more likely your audience will share your content with their friends. What do you want to accomplish on Twitter? Increased sales? Customer loyalty and retention? A crowd of followers? Once you’ve decided, you have an ever-growing number of ways to reach your target audience. Twitter Cards let you attach rich media (pictures, sound and video) to your tweet. Lead Generation Cards take a step further by giving your followers a way to express their interest and respond to the offer you’ve made in your tweet. with its 277 million members gives you a platform for showcasing your company, branding yourself, generating leads and increasing sales. There, you’ll need to create a profile that tells people what you can do for them. You’ll need to research keywords to find the ones that work best on LinkedIn. And you’ll need to give those who find you a clear direction for contacting you directly – whether via your website, by email or phone. Building or maintaining a social media presence consumes a lot of time. Some companies hire a dedicated social media coordinator to manage the job. If you post on several media sites, that time requirement increases. You’ll want to be sure your time and effort is being spent on the sites that are most appropriate for your business. Does Twitter, Instagram or LinkedIn generate more B2B leads? If you sell to consumers, which media sites are most effective for you? Which niche markets does Pinterest reach best? What is the most effective way to use YouTube … and is it relevant for my business? Are you posting the right number of times each day or each week for each different site? How does Google+ compare with Facebook in bringing visitors to your web site? With over a dozen major social media sites in the U.S. alone, we can guide you through the maze and help you build a campaign that is tailored for your type of business, products or services. Social media should be a part of your overall marketing strategy. It can build brand awareness and loyalty. With feedback from the social marketplace, it can give you competitive intelligence. You can use it to improve customer service by establishing online, two-way communications. And most important, social media can deliver quality leads, shorter sales cycles and increased revenue. Learn how we can help you improve or launch your marketing program.